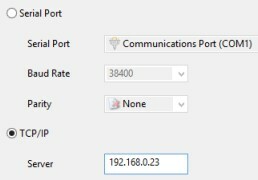 View Modbus registers from Modbus Slaves using the Modbus RTU serial port and TCP/IP network protocols. The functions 0x01 Read Coils, 0x02 Discrete Inputs, 0x03 Holding Registers, 0x04 Input Registers and 0x07 Exception Status are predefined. However, you can send any function code. The values are shown in decimal, hexadecimal, float and binary. Further a graph and a colored percentage is shown. If the device supports the 43 / 14 (0x2B / 0x0E) Read Device Identification command, the vendor / name / revision is shown. 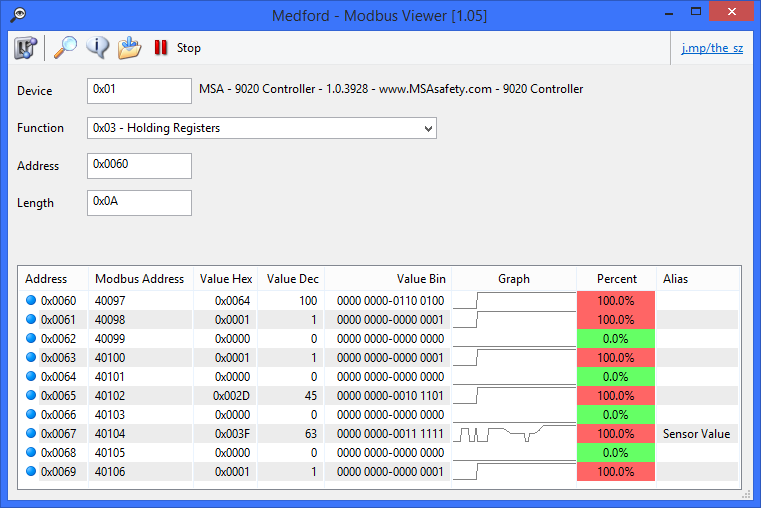 The Modbus Master shows each value in a graph. So you can see the history from each register. Further, you can set an Alias for each register. 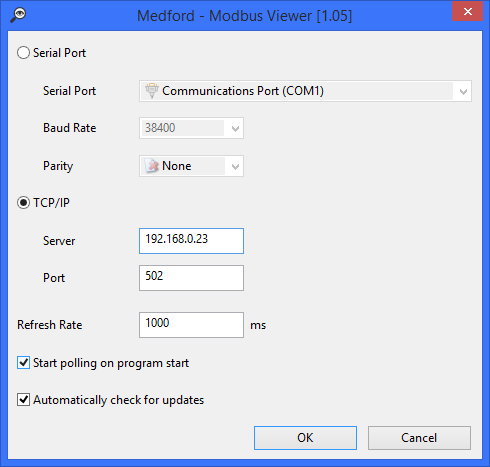 Modbus RTU (RS485) serial port and Modbus TCP/IP network protocol is supported. Press the magnifying glass to search / discover all devices and their Modbus address. All found devices are shown in a dialog.